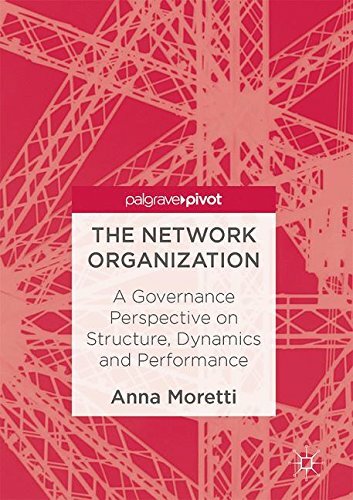 This book explores the basic traits of inter-organizational networks, examining the interplay between structure, dynamics, and performance from a governance perspective. The book assumes a novel theoretical angle based on the interpretation of networks as multiple systems, and advances the theory in the realm of network effectiveness and failure. Composed of two parts, theoretical and empirical, The Network Organization clarifies the literature on networks, offering a systematic review, and provides a new perspective on their integration with other streams of research focusing on under-studied issues such as agency, micro-dynamics, and network effectiveness. The second part proposes the analysis of the tourism destination of Venice, with a specific focus on the network between the Venice Film Festival, the hospitality system, and the local institutions. By exploring the pervasion of networks in modern social and economic life, this book will be valuable to students, researchers, practitioners and policy-makers.